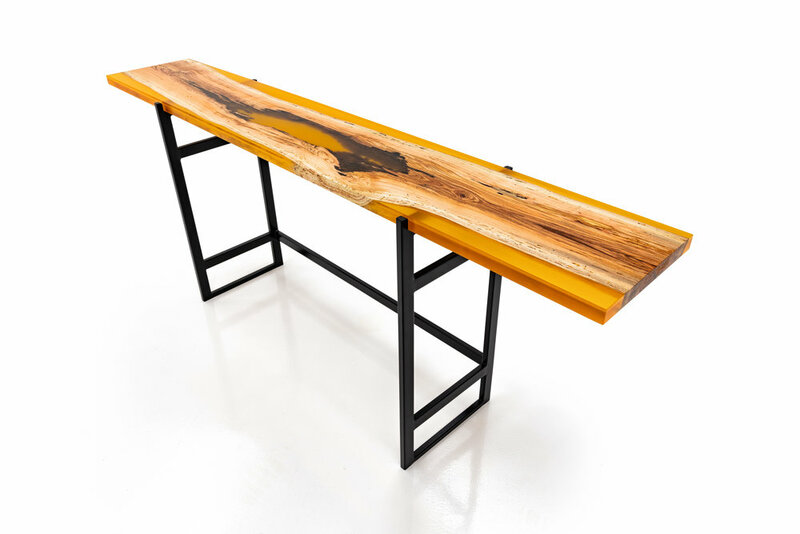 designs and fabricates furniture and accessories for distinctive spaces. 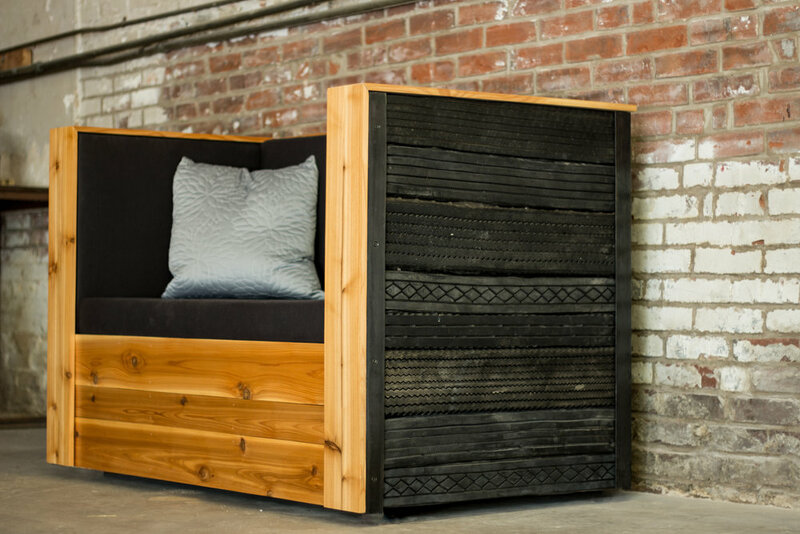 Designing and fabricating furnishings that surpass our clients expectations is our favorite thing to do. We can turn any space into "your' space. We have extensive experience designing pieces for restaurants and offices. Custom work that sets your project apart from all the others in town are our specialty. Bespoke pieces to give the final touch to the overall look and feel of your space. 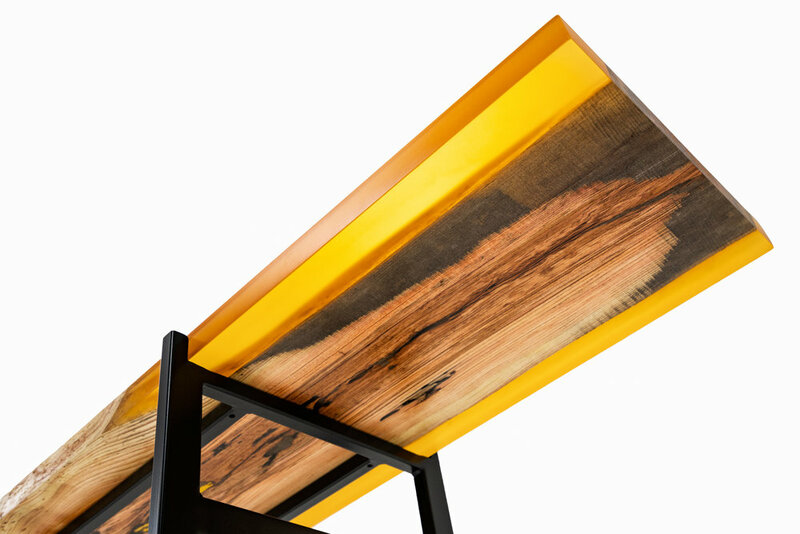 Functional cutting boards to stunning artwork are part of our offerings. Style without stuffiness. 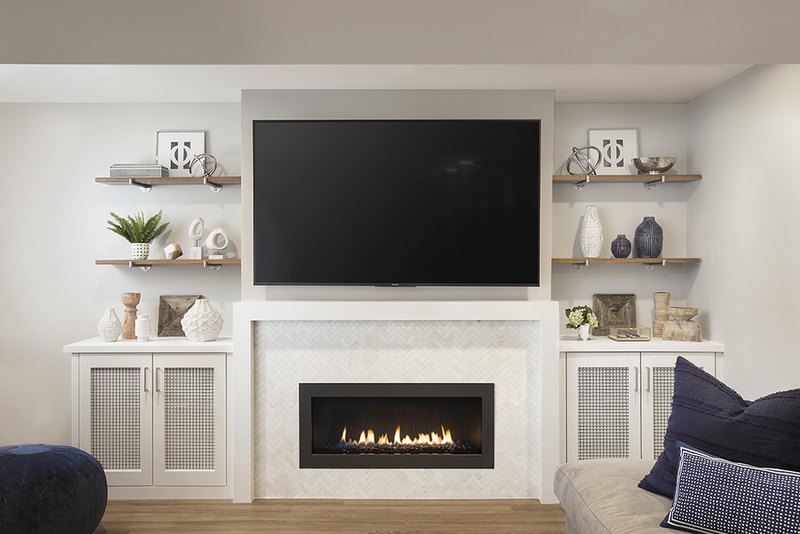 Working with the homeowner and Tamsin Maschetti of Tamsin Design Group, I was called upon to provide finish design and fabrication of kitchen and entertainment shelving, along with custom media cabinets and a fireplace surround. The shelves are solid walnut slabs and are supported by brushed stainless steel brackets. 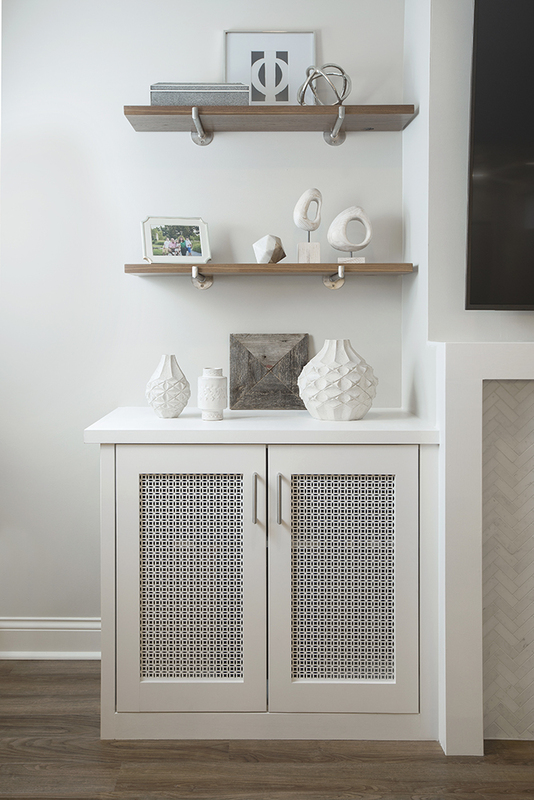 The cabinets feature inset metal grilles and are painted to match to keep the look tranquil.